Gartner’s newest analytics report highlights four emerging vendors in the space that offer innovative alternatives to generating insight from IoT devices. Gartner’s Cool Vendors in Internet of Things Analytics, 2017 takes particular interest in the manufacturing process, device diagnostics, repair, and maintenance. The enterprise technology research giant recommends that data and analytics leaders target specific domain use cases to ensure that analytics adds value to ongoing IoT applications. Additionally, Gartner’s analysts add: “Analytics enables the most visible impact of the IoT. It drives new business scenarios and empowers individuals. The possibilities for analytics are limitless, and ever-growing data sources present more opportunities to innovate through holding novel insights. 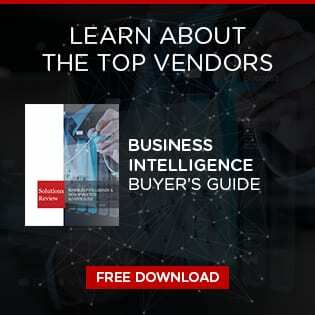 But currently, data and analytics leaders should narrow their focus to deriving additional value from the ongoing IoT implementations.” Some of the examples they include are increasing the lifespan of existing equipment, optimizing assets, predictive device maintenance, anomaly detection in the manufacturing process, and finding new product usage patterns. Arcadia Data runs visual analytics natively in-cluster, accelerating insights from Apache Hadoop and other data platforms without moving data, bridging the gap between self-service data visualization and advanced analytics. It lets users design data applications that meet brand standards on web technology built atop HTML5. The custom CSS and JS allows complete customization control and the ability to embed easily into other web-based applications. Why cool? Optimal+ provides Manufacturing Intelligence software solutions, enabling semiconductor and electronics companies to collect, organize and act upon all of the global manufacturing and test data generated from both internal and external supply chains. They offer real-time, big data analytics solutions that are used to process over 50 billion devices every year on behalf of its customers. Why cool? The Predii platform integrates current data sources into a single cohesive system, including structured, unstructured, natural and unnatural languages. Prebuilt taxonomies streamline the integration of data in to private, semantic, cloud repository, where it can be mined for insights in real-time. Why cool? Predikto Enterprise provides automated machine learning that allows analysis of a broad array of information including sensor data, maintenance records and weather. Predikto presents likely future failures with corresponding data for each asset to aid maintenance teams in turning unplanned maintenance into planned maintenance and Asset Managers to make more informed deployment decisions. Why cool? Click here to read the full report. 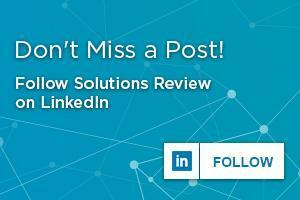 Be sure to also check out Solutions Review’s online directory of Data Analytics providers that we’re watching in the months ahead.